The transfer circus is beginning to pick up pace again as we head towards the next transfer window and whilst many rumours are utter rubbish, such as Jeremie Aliadiere returning to the Gunners, others look a little more plausible. One such story doing the rounds at the minute is that AC Milan are preparing to make a bid for Gael Clichy. The rumour being bounced around, depending on where you get your news from, is that they will offer Arsenal between £12 and £15million for the French left-back. I will admit that I am a big fan of the 23-year-old and believe he has done really well since taking over from Cashley at full-back. However, would the sale of Clichy be the worst thing that could happen to the Gunners this summer? Left-back is a position where Arsenal are lucky enough to have plenty of options and should Clichy leave I believe the likes of Armand Traore or Kieran Gibbs would do just as good a job given enough time. Traore has spent this season on loan at Portsmouth and when I have been fortunate enough to see him play, he has looked like he is developing into a good player. However, my number one choice to fill in for Clichy would be Gibbs. The 19-year-old has been exemplary in the games he has played this season and arguably has been the best player on the pitch in some of Arsenal’s FA Cup matches this year. When Arsene Wenger took over at the club he said it would take ten years to develop English players with the technical abilities he desired and I feel Gibbs is a prime example of that. Wenger, as we know, is always keen to give the youngster a chance and I believe Gibbs could become the next England left-back given the time. Clichy has hinted that he could be tempted with a move to AC Milan and if it potentially came down to a choice of concentrating efforts on persuading him to stay or Cesc Fabregas, I know who I would choose. Football fans unite! Thanks to a new marketing partnership between the Premier League and VisitBritain, the much revered Barclays Premier League Trophy will be displayed on VisitBritain’s stand at the Best of Britain and Ireland 2009, a brand new consumer event which takes place at London’s ExCeL Centre on Saturday 28 March and Sunday 29 March. On Saturday 28 March, fans can see the trophy up close and personal, and even have their photograph taken with it, allowing them to follow in the footsteps of some of our greatest sporting heroes. The majestic Barclays Premier League Trophy is made of solid silver and silver gilt and has been won by four clubs since the league began in 1992: Manchester United, Blackburn Rovers, Arsenal and Chelsea. Britain & Ireland have sporting legacies that attract visitors from across the globe. Pay tribute to the hallowed turf of our homegrown world-class sports destinations, and share in the glory of the countries’ achievements at the Best of Britain & Ireland 2009. The show will look forward to 2012, and celebrate past Olympic success with British Paralympic gold medalists Heather Frederiksen and Chris Holmes joining visitors during the weekend. Football fans will find plenty of inspiration for active breaks in the UK and Ireland at the show. The event will be centered on six themes, including one dedicated to Active Britain & Ireland for sports enthusiasts. The Blue Badge Guides will take visitors on dedicated trails, including a must for sport fans: Mud, Sweat and Beers – team thrills and extreme spills, which will showcase the best active offerings from the exhibitors. The show’s Active theme will showcase sporting activities and tours throughout the UK & Ireland. Exhibitors such as Soccer Destinations organise visits to the great soccer stadiums at Old Trafford, Stamford Bridge or Wembley and will be showcasing its flagship event, the Shrewsbury international tournament (taking place 2-7 August). 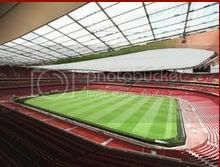 Those interested in the history of the Beautiful Game should visit Stamford Bridge and Emirates Stadium stands. Staff will be on hand to give advice and information on their museum tours. Fans keen to find great accommodation for away games should visit the array of hotels’ stands at Best of Britain & Ireland, including Choice Hotels, Best Western Hotels or, for a sophisticated touch, Classic British Hotels, to find out about their best deals. And what’s football without a beer? Don’t miss ‘The Best of British Ale’ session held by Campaign for Real Ale (CAMRA). Best of Britain & Ireland 2009 will also be featuring other sporting exhibitors, such as Twickenham World Rugby Museum and Stadium Tour, where visitors can experience the ‘Scrummaging Machine’ to test their own strength; Lords and Royal Ascot, where visitors can learn the etiquette behind one of sport’s most glamorous events and London’s Premier Sports Museums & Tours including Wimbledon Lawn Tennis Museum, which will be building up to the centenary celebrations of Fred Perry’s birth. Anyone wishing to take up the rare opportunity to see the Barclays Premier League Trophy up close and find inspiration for more active holidays should book their visit to the Best of Britain & Ireland – now! Adult tickets cost just £10 each and £15 for a pair. Children under 16 and freedom pass holders get in free. For more information and to book tickets, please visit: www.britainandirelandevent.co.uk. If you are intrested in attending please send me an e-mail on thmurapa@gmail.com & i will organize a 30% discount on ticket prices! 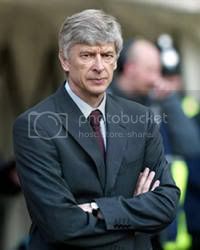 Arsenal’s 3-0 victory over Burnley on Sunday lunchtime means that Arsene Wenger’s side are just one step away from reaching Wembley and a semi-final with London rivals Chelsea. Of course they will have to beat Hull City first which, given the sides previous meeting at the Emirates, is not guaranteed. However the Gunners should be confident that they can overcome the Tigers next Tuesday after a comfortable victory at the KC Stadium back in January. Arsenal were once again impressive in the world’s oldest cup competition on Sunday, with Eduardo looking an even better player than he did before his horrific injury. Whilst Burnley were poor though there were some encouraging signs that things are on the up in front of goal and in Kieran Gibbs Wenger has yet another quality left-back. Carlos Vela was impressive as well, although I bet we all wish he could transfer some of those excellent cup goals into league ones. After the win on Sunday we also discovered who we could face after the quarter-finals and I believe Chelsea are the perfect opponents for Arsenal. Obviously with Manchester United seemingly unstoppable at the minute it was key to avoid them to keep Arsenal’s FA Cup dreams alive. Whilst on paper Everton were the weakest of the Gunners potential semi-final opponents Arsenal have had trouble with David Moyes men in recent times and are the kind of side that can unsettle Wenger’s men on their day. The most recent example being our 1-1 draw at Goodison Park in January where Arsenal were fortunate to get a point. As such I fancy Arsenal’s odds against Chelsea more than if they had to face United or Everton. The win at Stamford Bridge earlier in the season was the most comfortable I can remember and I haven’t seen any marked improvement in the Blues since then, despite the arrival of Guus Hiddink. 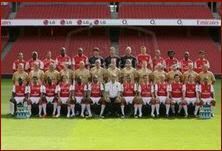 The Blues are no longer the unstoppable force they once were and with their attack often looking fairly toothless you’d fancy Arsenal’s current all conquering defence to keep the likes of Nicolas Anelka and Saloman Kalou at bay. Obviously the ace in the hole for Chelsea is Didier Drogba who on his day can unpick any defence and has done so against the Gunners on a couple of occasions. The FA Cup is always unpredictable and on any given day Arsenal could easily be capable of lifting the trophy and having already beaten Hull, Chelsea, Everton and United this season Arsenal have as good a chance as any side of taking that walk up those steps to claim their prize.